Scheduling has never been so easy! Our powerful, complete and user-friendly platform was made for your salon. Let your clients book their appointments in just a few clicks, anywhere and anytime. Let us do the work, get more appointments and take care of your clients! Send automatic reminders by email and SMS, your clients will never forget another appointment. Stop losing potential clients. Let them book an appointment anywhere, anytime. Say goodbye to no-shows and revenue loss thanks to our automated reminders. Optimize your calendar and show off your multitasking skills. Schedule more than one client at a time with our overlapping feature. See if your clients have confirmed their appointments at a glance. A feature that offers great peace of mind. You offer great services? Tell the world about it! Build your credibility, and let your clients be your best ambassadors! Replace cancellations automatically and avoid revenue loss while improving customer happiness. I use it and I love it! When my clients don't confirm on the eve of the appointment, it's automatically cancelled. I no longer have no-shows. of users our Customer Service Team! Web or Mobile App: We've got you covered! Don't know how to choose the right platform? 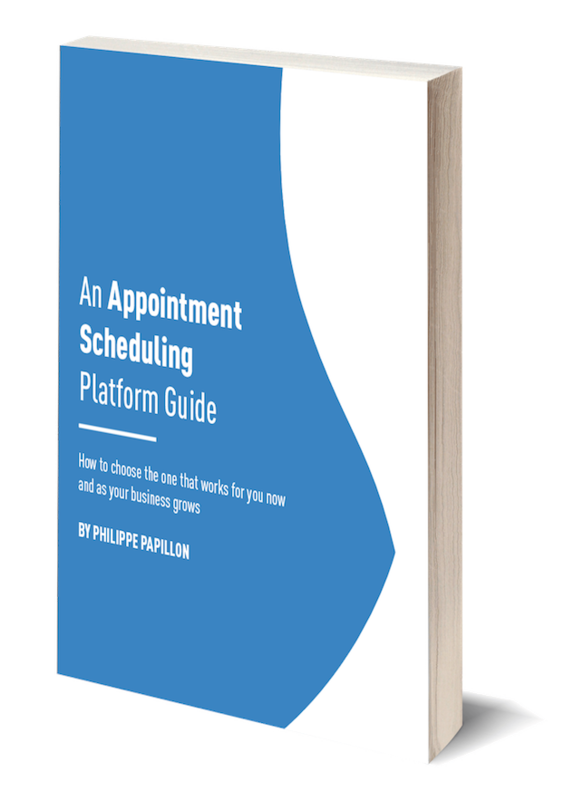 Our ebook "An Appointment Scheduling Platform Guide" is here to guide you in selecting the solution that best fits your needs. We explain the important things to consider based on our customers' comments and feedback since our beginnings.